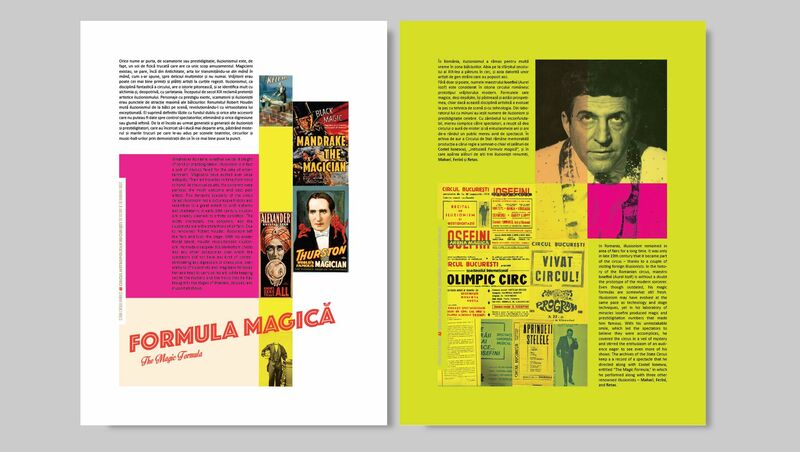 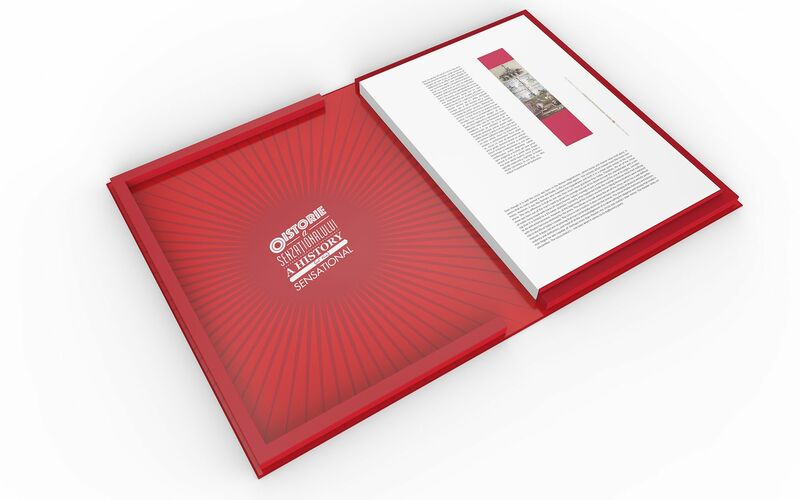 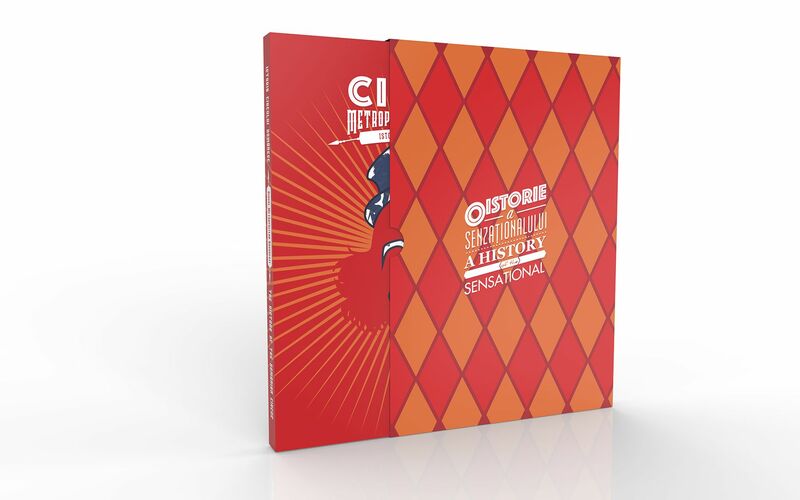 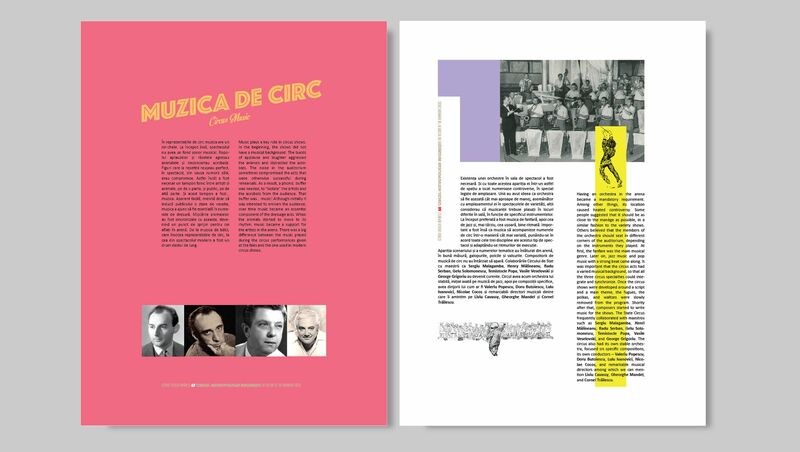 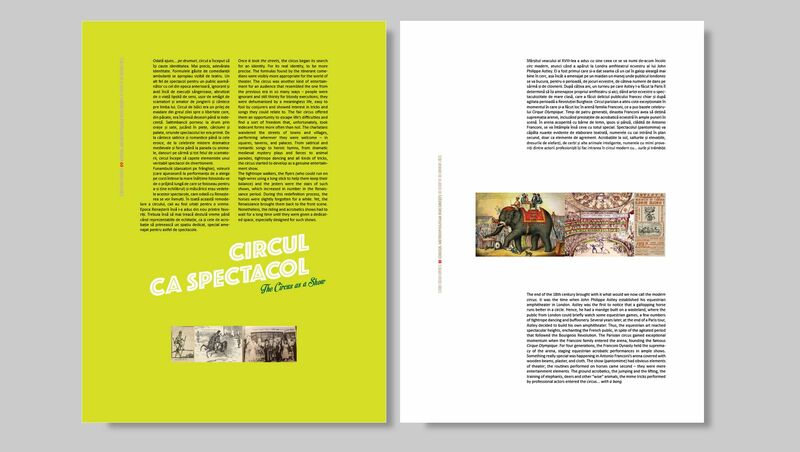 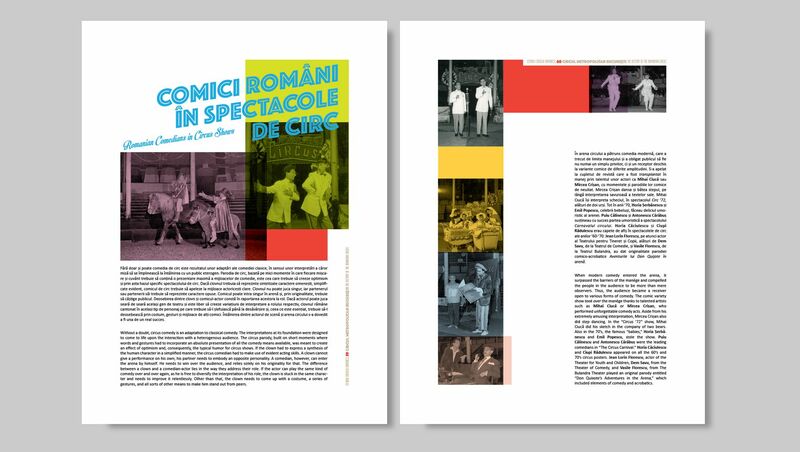 “The History of the Romanian Circus – Bucharest Metropolitan Circus” is a printed album showcasing the most important pages int the history of the Romanian Circus. 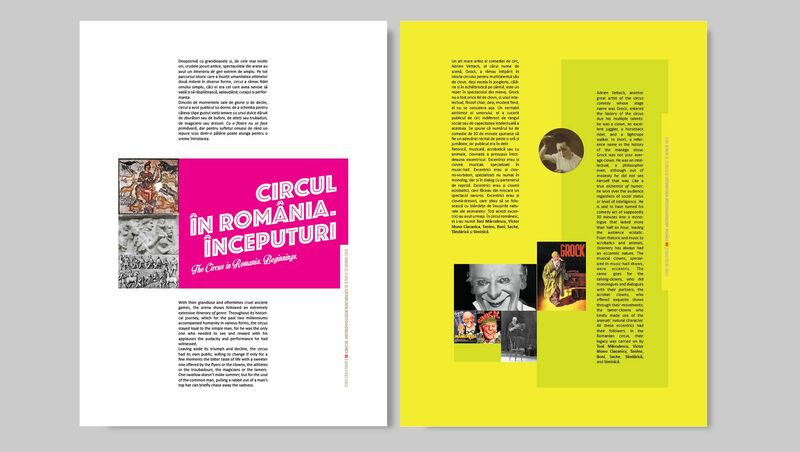 The graphic concept ambition is to make this subject interesting and relevant for the younger generations of the Romanian public. 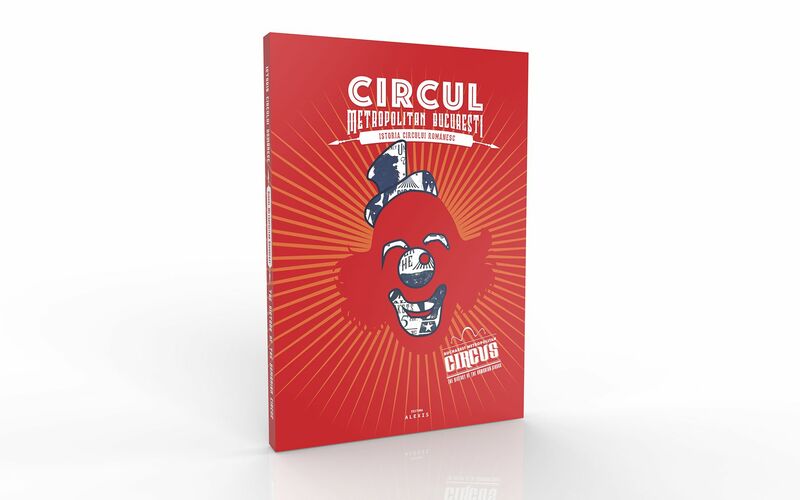 The design is pop culture influenced while impregnated with genuine flavors of the archetypal circus visuals. 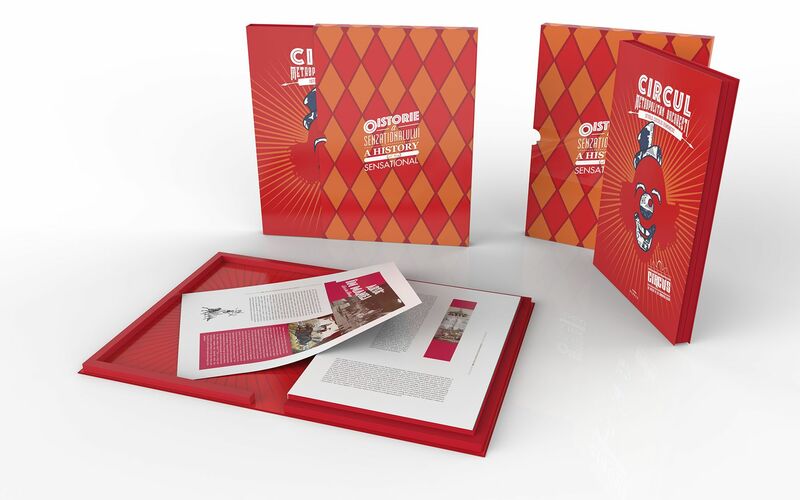 The project included concept, graphic design, image curation, and DTP.